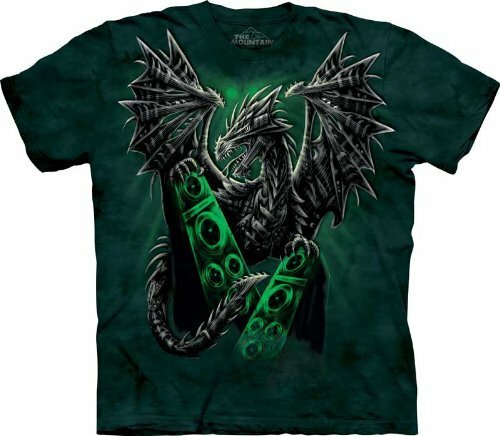 It’s been a while since we featured dragons so today we have a great selection of dragon t-shirts to show you. I’ve loved dragons since I was a little girl and I’ve managed to collect a fair few dragon mounts in World of Warcraft too. They are always my mount of choice! 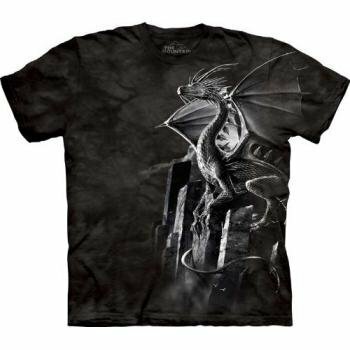 These dragon t-shirts are seriously grown up style dragons – just as strong and mean looking as you’d expect from such a mythical creature. The first three are all by The Mountain T-shirt company – their range is absolutely gorgeous and there’s something for everyone too. From huge dog faces to cute kittens and dinosaurs, zombies and skeletons to aliens and sharks, you’re bound to find the perfect t-shirt for you. 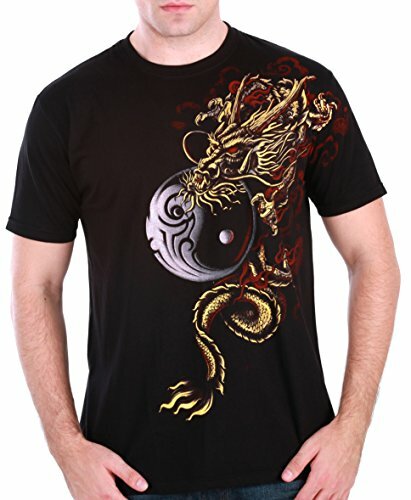 We’ve featured some of their designs before but these dragon t-shirt designs are some of my favorites. 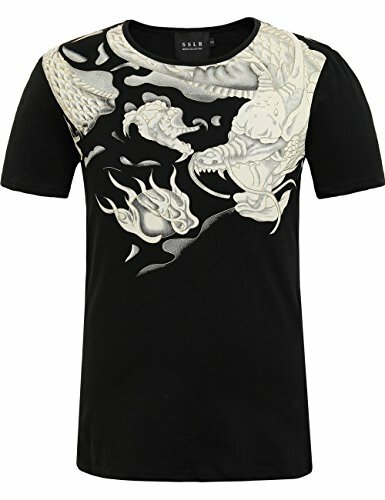 I love the over the shoulder design of the Chinese Dragon t-shirt – I’ve not seen many designs like this one so I just had to include it. 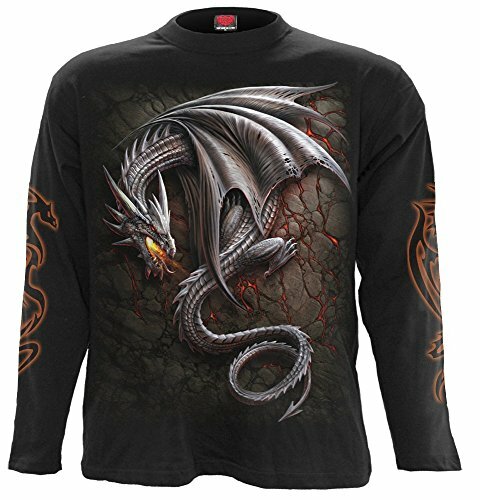 The Sky Dragon t-shirt is also a bit different with a design to one side rather than centered and lastly, my favorite of this selection is the long sleeved Obsidian Dragon t-shirt. Next up, we have a selection of cute dragon t-shirt designs. Both the cute baby dragon designs are shown as women’s t-shirts but they are available in long sleeved t-shirts and in men’s t-shirt styles too. Sadly, there’s no children’s sizes although I think they’d be perfect for kids t-shirts! I love the Meddle Not t-shirt – “meddle not in the affairs of dragons for ye are crunchy and good with ketchup” – it made me laugh out loud when I first saw it so it’s another dragon t-shirt design I just had to include. 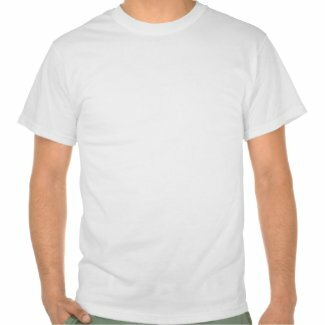 Another cute baby dragon t-shirt but with a laptop this time. I love this design! Perfect for the geeky dragon lover in your life (or yourself, of course). When I saw this red dragon, I knew instantly I had to include it – it’s the Welsh dragon from our national flag but it’s been given a distressed look and I think it looks fabulous! 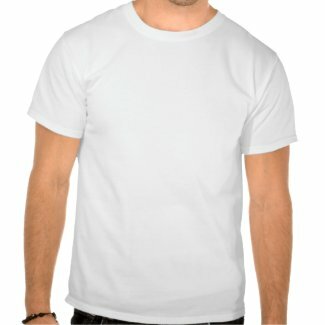 I hope you’ve enjoyed this selection of gorgeous dragon t-shirt designs. If you want to check out our other dragon themed posts, there’s dragon decor for the home and some dragon jewelry gift ideas and plushies in our Valentine’s Day gifts for Dragon Lovers as well as a collectible toy dragons post too.